Builders is the perfect, specialist theme for blogs and websites in the construction industry. Impress future clients with a professional and polished theme with endless functionality! myPortfolio is a stunning, responsive and highly modern WordPress theme that is perfectly suited to businesses that want to showcase their services and products. PointPro looks stunning and performs flawlessly. This is a premium theme for professionals with a modern UI, tons of features and the attention to detail that discerning visitors expect. Business is a corporate-styled WordPress theme ideal for businesses who want to leverage the power of WordPress to build their company website with a clean, professional design and features. MobileApp is the perfect WordPress theme for your mobile application. It lets you show off screenshots, list features, and has integrated download buttons to increase your number of users. Salvation is a Church, religious and organization-oriented WordPress theme that features a donation form, event management, and a clean user interface that is sure to please your users. School is, as the name would imply, the perfect theme for schools, classes, daycares, and other educational programs that features a light, appealing design, and custom post types fit for education. 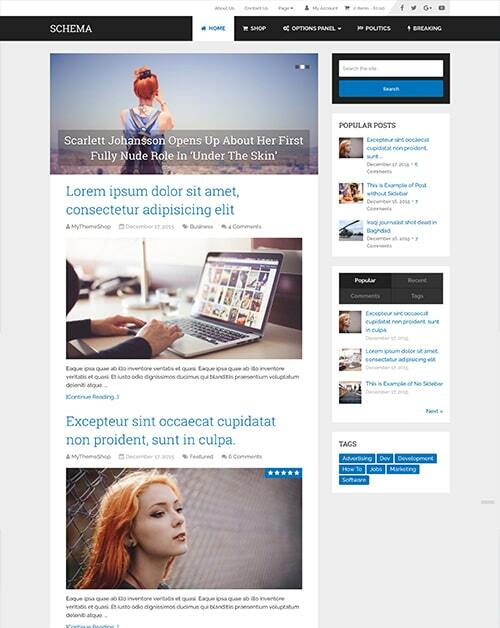 Architect is a clean and beautiful WordPress theme that is great for businesses. Featuring drag-and-drop homepage sections and lots of great features, it's sure to make your business grow. Portfolio is a clean and minimal portfolio WordPress theme that is perfect for displaying your works in style, along with a beautiful blog and tons of great features.